Facebook moved quickly this week to change its policy on underage users after an undercover reporter in the UK was told by a content moderator that they didn’t do anything to remove children. The social media giant will now be more proactive in reviewing accounts suspected of belonging to kids under the age of 13. Before, content moderators would only look into the age of a user if their account was reported specifically for belonging to an underage user. Now, they will lock the accounts of any user suspected of being underage no matter the reason they were reported to the site. 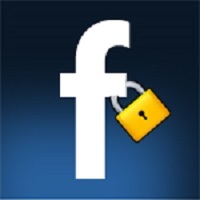 “We have been working to update the guidance for reviewers to put a hold on any account they encounter if they have a strong indication it is underage, even if the report was for something else,” Facebook wrote in a blog post. It’s surprising how quickly Facebook acted to clean up this problem, but there was no doubt it had to act. The undercover reporter in Facebook’s content moderation department was told that, unless a user tells Facebook they’re underage, “we just pretend that we are blind and that we don’t know what underage looks like.” For a company that prides itself on protecting its users and their privacy, this was change that needed to be made.